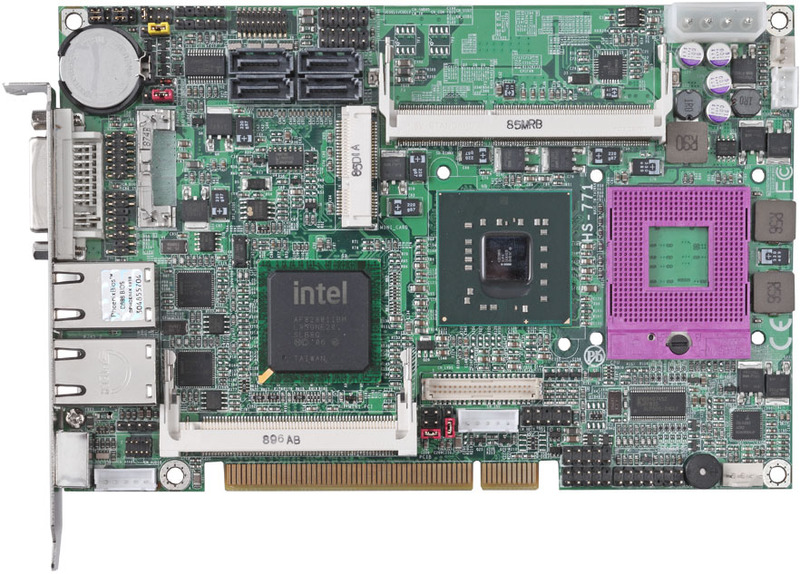 Taiwan Commate Computer Inc.(COMMELL), the worldwide leader of Single Board Computers, introduced the PCI-bus Half-size CPU Card HS-771 that SBC incorporates an Intel Socket P pin-out compatible with Intel Core 2 Duo Mobile Penryn or Core 2 Extreme processors @ FSB 667/800/1066 MHz support for T8100, T8300, T9300, T9400, T9500, X9100, X9000 & Mobile Celeron 585,575, Validated with the Mobile GM45 Express chipset, providing excellent flexibility for developers of embedded applications by offering outstanding graphics, memory and I/O bandwidth, asset management capabilities, storage speed and reliability, such as network appliances, gaming platforms and industrial automation equipment, The HS-771 is especially suitable for applications that must be contained in a limited space control systems. COMMELL's HS-771 CPU Card supports DDR3 SDRAM up to 8GB, and comes with PS/2 Keyboard and Mouse, 1 x RS232C and 1 x RS232/422/485, Networking is provided by two Intel 82574L Giga LAN, 8 x USB2.0 ports, It offers Realtek ALC888 HD audio, 4 x SATA interface, Expansion with one Mini PCI, one PCI express Mini card slot. The CPU Card provides four PCI bus master to support backplane add-in cards. Additionally, COMMELL also offers XP embedded OS for system integrators. CPU: Intel® Core™ 2 Duo processor with Socket P @ 667/800/1066 MHz FSB. Memory: DDR3 SO-DIMM 800/1066 MHz up to 8GB. VGA Interface: built-in Intel® extreme GMA 4500MHD Technology. DVI interface: 1 x DVI-I interface. Serial ATA: 4 x Serial ATA interface with 300 MB/s transfer rate. LAN Interface: 2 x Intel® 82574L Gigabit Ethernet. Audio: Integrated ICH9-M with Realtek HD Audio codec. 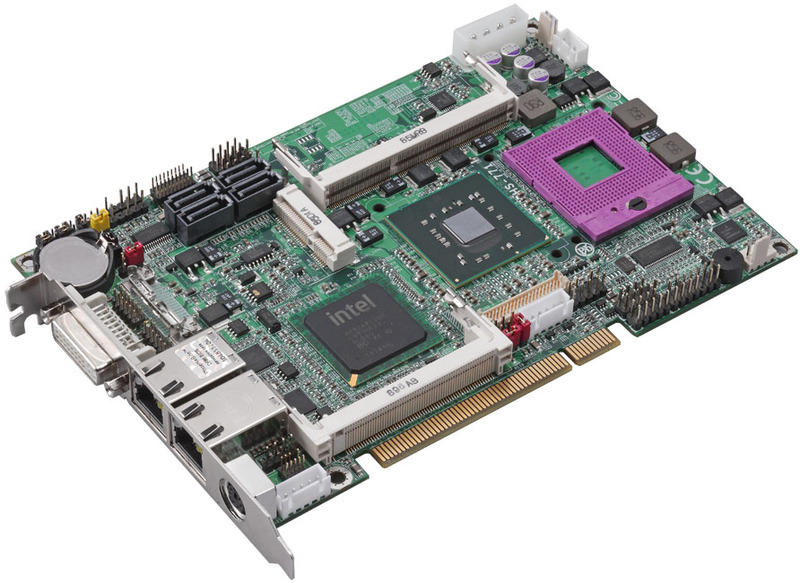 Extended interface: 1 x Mini-PCI and 1 x PCI Express Mini card socket. I/O ports: PS/2 Keyboard/Mouse, 2 x LAN, 8 x USB 2.0, RS232/422/485. 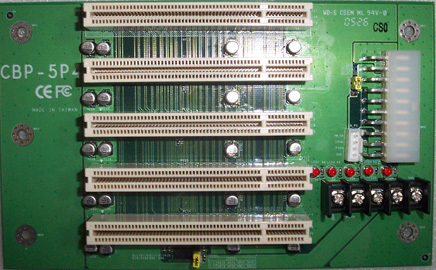 4 x Serial ATA II Interface with 300 MB/s transfer rate.